Working with - or near - mobile plant and equipment is a high risk activity where employers should take particular care to ensure the safety of employees, contractors and members of the public. Mobile plant will generally be used for earthmoving or excavating, lifting or suspending loads or elevating work platforms. There are many potential causes of incidents including: unsafe vehicles, equipment failure, pedestrian collisions, communication failures, poor visibility, operator’s not trained or competent, risk taking behavior, operator distraction etc. 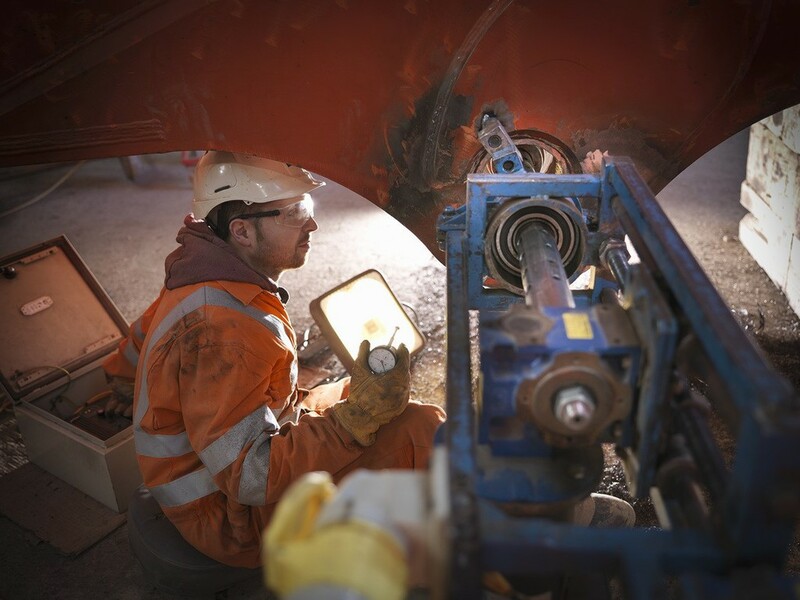 Statutory requirements include the Provision and Use of Work Equipment Regulations (PUWER) which apply to the provision and use of all work equipment including mobile equipment, in all workplaces. The Lifting Operations and Lifting Equipment Regulations (LOLER), deals with the specific risks arising from the use of work equipment to lift loads. Since 1995, all new plant must meet the essential health and safety requirements of the Supply of Machinery (Safety) Regulations. The outward signs of compliance are CE marking and a Declaration of Conformity document. 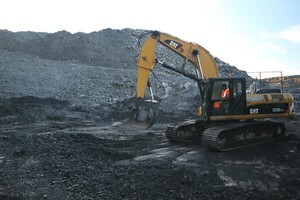 Some items of equipment are designed to a harmonized European Standard such as EN 474-5 for excavators. There are ACOPs specific to items of plant such as Rider-operated lift trucks and also British Standards for safe use of equipment such as BS 7121 - Code of practice for safe use of cranes, which give advice on how to comply with the law. The Workplace (Health, Safety and Welfare) Regulations deal with the organisation etc. of traffic routes and workplaces (where applicable) and should be considered together with PUWER. CDM Regulations 2015 (regulations 27 & 28) apply to construction sites regarding safe use of vehicles. The Management of Health and Safety at Work Regulations require you to carry out a risk assessment. Those in control of workplaces should undertake a risk assessment identifying the hazards associated with mobile plant tasks. Management, employees and safety representatives should be involved in undertaking this risk assessment. Traffic rules should be established as part of a safe system of work following risk assessment and communicated to all relevant persons. The risk assessment and traffic rules should be monitored and reviewed on a regular basis. There are three key areas: safe workplaces; safe mobile plant; and safe mobile plant operators and operations. For safe workplaces emphasis should be on site design and preventing pedestrians coming within the area of operation of mobile plant. Practical measures to consider include: segregated pedestrian routes to provide safe access to work areas, traffic routes planned to minimize congestion and risk of collision, layout of road systems i.e. one-way where appropriate with clear sight lines, exclusion zones, restrictions i.e. height / width, overhead lines, avoiding edges with height drops and steep gradients, access and parking areas including contractors and deliveries, loading / unloading areas, speed limits, traffic signage & lighting etc. For safe mobile plant, employers should select equipment that is fit for purpose and safe for use under the working conditions in which it will be employed. It should be inspected, tested, maintained and operated to comply with any OEM recommendations and applicable statutory requirements and best practice guidance. A programme of pre-use visual checks, regular inspections, routine servicing and thorough examination should be established according to the manufacturer’s instructions and the risks associated with the use of each vehicle. There should be a system in place to ensure that all reported defects are rectified and recorded. Practical measures to consider include: all-round visibility, seat belts, Roll-Over Protection (ROPS), Falling Objects Protection (FOPS), brake testing, lighting & warnings, operator protection from residual hazards (noise, vibration, fumes, etc. ), guarding etc. For safe mobile plant operators and operations it is essential that operators are adequately trained and competent for their role. There are a number of recognized competence schemes that provide evidence of training and in some cases assessment (CPCS, MPQC, NPORS etc.). It is also important that mobile plant operators are familiar with the specific machine they are operating as there can be significant differences in control layouts and operating characteristics from one manufacturer to another. 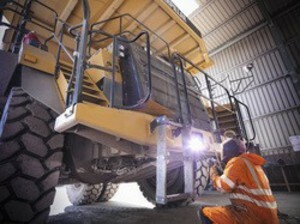 Employers should also ensure that plant operators have an appropriate level of fitness. Various industry good practice guides are available on-line regarding assessment processes. Practical measures to consider include: effective supervision, communication, mobile phones, key control, loading / unloading operations (including tipping), rated capacity not exceeded, using quick hitches, safety zones and entry procedures etc. Mobile plant operations have the potential to result in a major catastrophic event. Identifying and monitoring effective performance indicators will help to reduce the risk of such an event occurring and safeguard compliance.